Deborah has a master’s degree in Physical Therapy, is a Certified BodyTalk Practitioner, a Certified Accunect Practitioner, and a Craniosacral Fascial Therapy provider. 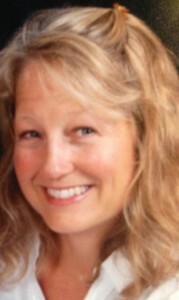 Deborah has been a Physical Therapist since 1998, utilizing gentle manual therapy techniques such as myofascial release, strain-counterstrain, neurofascial release, visceral release and muscle energy for skeletal alignment, as well as therapeutic exercises to reeducate the musculoskeletal system and bring body awareness through movement. She has studied extensively at the Connecticut School of Integrative Manual Therapy where she was taught numerous skills which involved evaluating all systems in the body using her hands, her intuition, and multiple diagnostic techniques to determine the best course of treatment. Throughout her journey of searching for healing modalities to assist in the body’s natural ability to heal, she discovered the BodyTalk System in February 2006. The next phase of her journey was with Accunect, beginning in 2011. Accunect embodies the principles of Oneness and Connection to heal at all levels, completely. Craniosacral Fascial Therapy (the Gillespie Approach) is also incorporated during sessions in order to release fascial strain patterns, such that wholeness and connection can be felt in the entire body.